Back from my fourth knowledge transfer trip in Amsterdam*, I wanted to share the following three points. Arranged by Media Manager Founder Wouter Maagdenberg, the Bootcamp included presentations by Menno Bolt, Jan Horsman, and Nuno Mendes. In addition to "rich" client-side multimedia examples, we looked at custom events, analytics, and the Media Manager API. Users set calls-to-action. 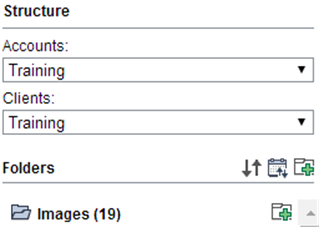 Media Managers optionally set custom times and key/value settings for assets (e.g. show a call-to-action from 0:05 to 0:10 seconds. The setup is flexible and simple, using key-value pairs (what to use and what the keys mean is up to your setup). So the API is just for the back-end like Tridoin's Core Service, but MediaManager's OData is for analytical results rather than SDL Tridion's Web Service. When working with Media Manager and Tridion, remember your terminology. OData is a standardized protocol. Avoid calling Tridion's web service or MediaManager's analytics APIs as "OData." That's like saying, "we will put the search box in the HTML5" or "the dynamic component presentations are called by the C#." SDL is the company. Although I normally understand what you mean when you say, "we will store that in SDL," what does this mean if you have both SDL Tridion and SDL Media Manager? Each item can contain one or more subitems and the interface hints at these relationships. Select an Account to see its Clients in the next drop-down. 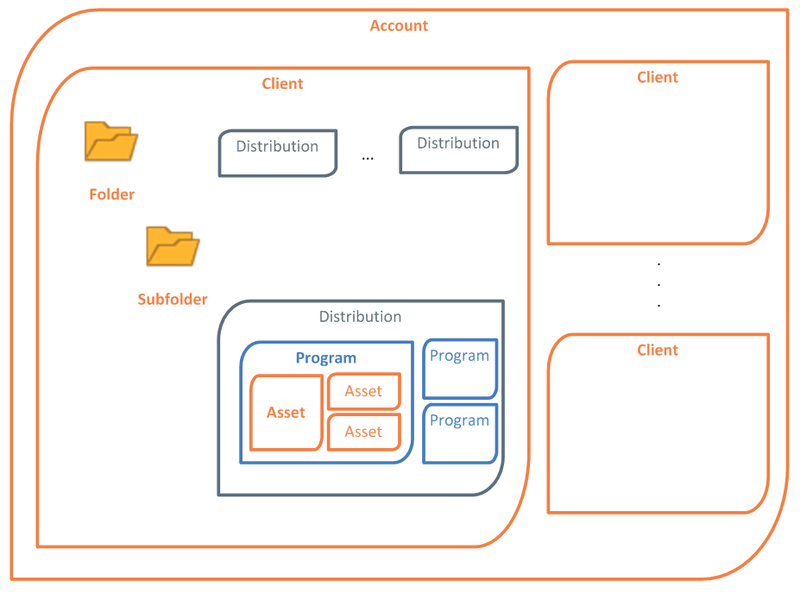 Select a client to see its folders. Easy. Inside these "organizing elements," you'll find the actual Media Manager items, which are focused on rich media. You'll find familiar CMS concepts here as well. We were lucky enough to get some top Tridion sharers in the Bootcamp, so expect more examples, posts, and code in the next few weeks. This part is cheat sheet of sorts on what to consider when hosting your own knowledge transfer events. Also, remember that training environments are harder than production. Also see the Tridion Developer Summit as an example of just how far you can extend knowledge sharing and workshops within the community. Though the first summit wasn't as hands-on as a Bootcamp, it shared the same considerations and even had workshops in parallel with presentations. I expect to see similar events and perhaps even a hack-a-thon of sorts (possibly mentioned in a California Tridion user presentation two years ago). These are the things on my mind as we plan the US versions of the Media Manager Bootcamps. Let me know if you have any good tips or practices for Bootcamps in the comments below. In the last bootcamp we agreed SDL Tridion World would work for sharing Media Manager information in a centralized location. This is available, but taking lessons learned from the SDL Tridion Technical Community, I realize it's hard to effectively coordinate voluntary contributions because posts are unpredictable, deadlines are hard, and few posts are actually exactly the same. So by Midas Rule, I started a new SDL Media Manager Google group to collect and gather posts and more importantly, the people working on active Media Manager implementations. Why Google Groups? The old community forum is in read-only mode and Media Manager's community isn't big enough to start a Stack Exchange site. There are a other Tridion-related Google Groups including PowerTools and DD4T. Let's start something new... again. Oh and one more post on preparing to attend a Bootcamp (this was a pitch for the previous SDL Tridion 2013 Bootcamps). Got Bootcamps on your mind? Tell me about it in a comment.